Rather than listening to bodies and babies, more and more individuals throughout the Salt Lake area feel pressured by their provider to have their labor induced. 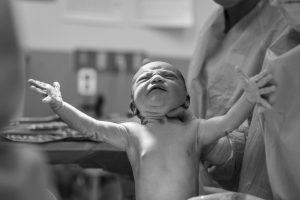 Because of that pressure, many birthing women are switching from obstetricians to midwife services for labor inductions. We feel that whatever your service provider advises should be in yours and your baby’s best interest. The sad truth is, however, that many conventional medical practices are influenced by hospital risk assessment, insurance reimbursement, and convenience. Remember, your due date isn’t necessarily the exact date you’ll go into labor. Instead, your baby can safely arrive two weeks prior to the due date or even two weeks after. During the final weeks of your pregnancy, your baby will gain weight, develop sucking abilities, and receive crucial antibodies that will help them fight infections. In most cases, when the baby is ready to enter the world, your body increases prostaglandin production and your cervix softens in preparation. Then, your baby descends down the birth canal and waits for contractions and labor to begin. Right now, a large portion of labor inductions are done for non-medical reasons. Most of these are for convenience, rather than safety. While the idea of having your baby at your convenience may be enticing, it isn’t to your baby’s benefit. When you elect to have an induction — particularly one prior to 39 weeks — you increase risks for yourself and your baby’s development. Additionally, an elective induction increases the likelihood of having a Cesarean section. Always consult your physician and your midwife on what they recommend for you and your baby. Feel out your options. Ask questions. Remember, you have time to think things through. If you, in the end, require an induction, you’ll know you made the best choice for you and your baby.